Home News Altoona Area Public Library is Live! Altoona Area Public Library is Live! The Altoona Area Public Library is now live on SPARK! Congratulations on a successful migration, and we are thrilled to have you on board! 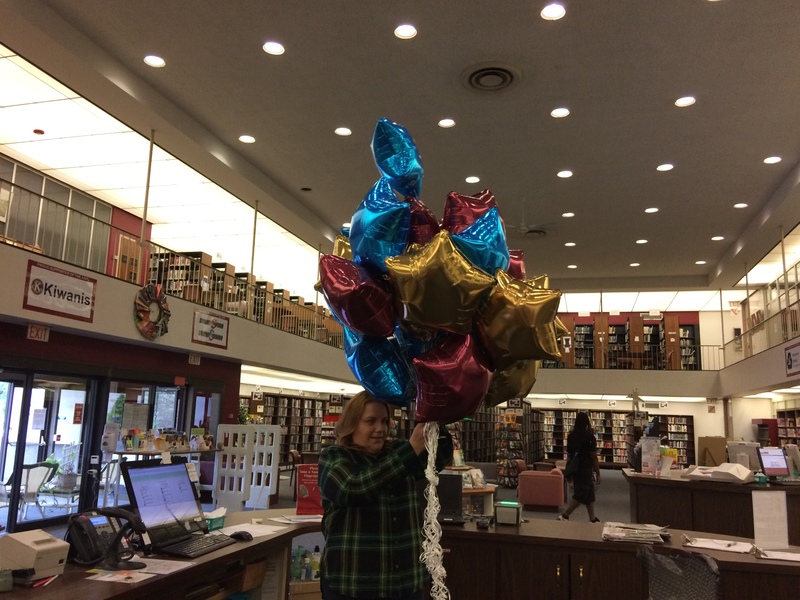 Elin Woods of the Altoona Area Public Library celebrates Go Live with a gift of star balloons.